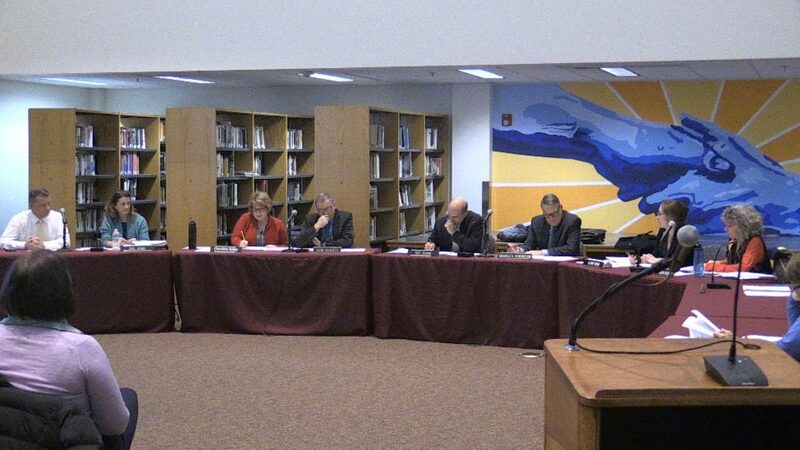 The School Committee received its first report from the group investigating later start times at Reading Memorial High School (RMHS) at their meeting on December 6. 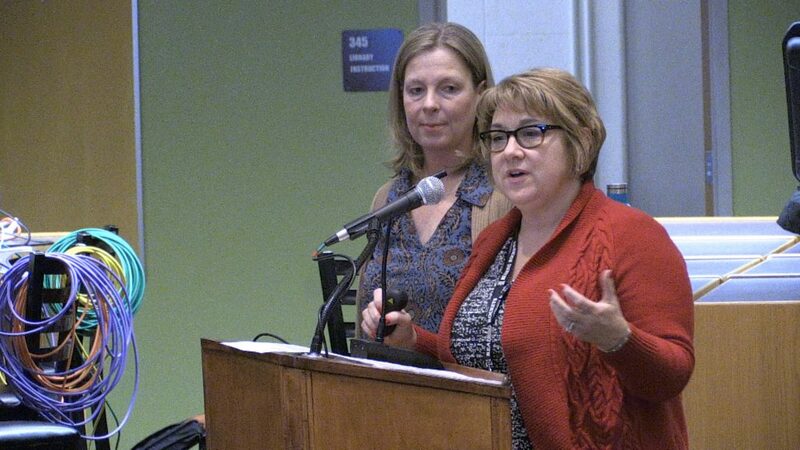 The report, presented by Assistant Superintendent Christine Kelly and RMHS Principal Kate Boynton, recommended a new school day at RMHS that starts at 8:30 am and ends at 3:02 pm. Kelly reported regarding research that shows that adolescents need between eight and a half and nine and a half hours of sleep each night. Circadian rhythms or “pacemakers in the brain” in teens naturally cause students to tire in a different pattern than children and adults. This research was done prior to the widespread use of cell phones. According to Kelly, late-night cell phone use only exacerbates the situation. Due to physiological patterns in the brain, adolescent sleep cycles are primed for rest between 11:00 pm and 7:00 am. “Even if teens try to go to bed earlier, many will not fall asleep until 11:00 pm,” Kelly commented. The RMHS Youth Risk Behaviors Survey (YRBS) showed that only twenty-four percent of RMHS students reported getting eight or more hours of sleep each night. Kelly continued with research reporting numerous adverse effects of sleep deprivation in adolescents including increased anxiety, depression, obesity rates, and tardiness. Sleep deprivation also decreased motivation, executive function, and lowered academic achievement in students. Research also shows that sleep-deprived student-athletes are 2.3 times more at risk for injuries. Five of the twelve school districts in the Middlesex League have already shifted to later start times. Some of those districts have reported lower tardy rates and better overall attendance. Districts also report greater participation in breakfast. If a change is made, steps will be taken to mitigate the impact on staff by scheduling meetings before school and encouraging student support meetings prior to the beginning of school as well. The school would likely seek to open the cafeteria and library earlier as well. Boynton suggested that homework policies and sports scheduling could also be a part of a broader look at how the school operates. 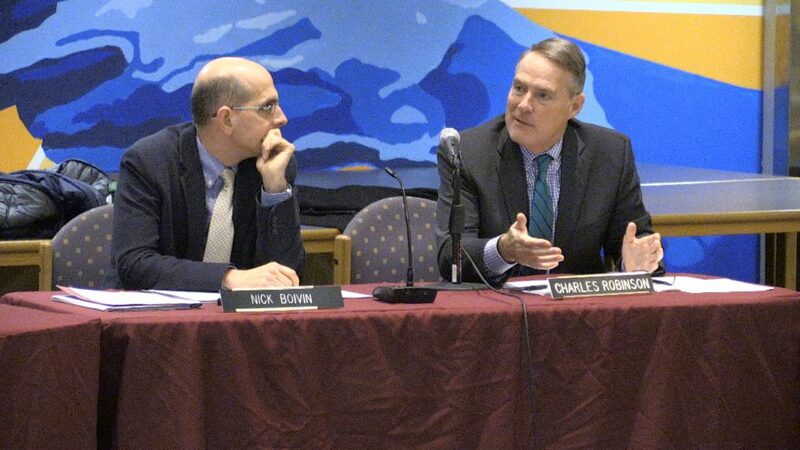 School Committee member Nick Boivin expressed concern over the plan citing traffic flow concerns in the Birch Meadow neighborhood. These concerns were echoed by resident Alicia Williams. Kelly assured the committee that the police department would be part of the ongoing conversations concerning the change. 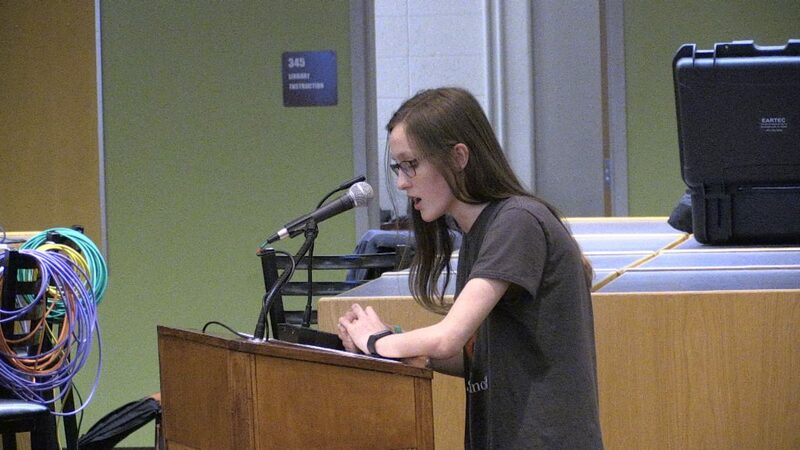 RMHS junior Autumn Hendrickson gave an impassioned statement expressing concern over the amount of stress students experience due to excess homework and long extra-curricular practices. She reported that in her informal survey, typical RMHS students have four hours of homework each evening. Hendrickson also referred to the YRBS which found that only six percent of students thought of lack of sleep as a major stressor. 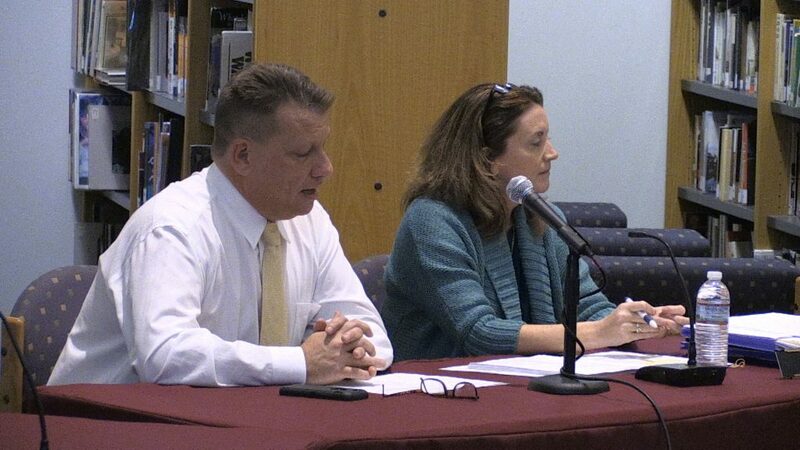 “[Changing the start time] will do nothing if you do not address student stress,” Hendrickson concluded. Committee Chair Elaine Webb reported that the committee had received fifteen emails on the issue, all from varying perspectives. The committee took no action on the recommendation. The committee voted 4-0 to approve the superintendent’s Fiscal Year 2019 goals. The five approved goals are rooted in the District Improvement Plan and in Superintendent John Doherty’s personal educator plan. Doherty pointed out that every public school educator in the state has a personal educator plan which focuses on individual growth. Doherty’s goals are intentionally three-year goals and are highlighted by a student learning goal, a professional practice goal focused on communication, and upgrades to school facilities. The committee also voted 4-0 to accept the updated FY2019 capital plan presented by Facilities Director Joe Huggins and approved at the November town meeting. Doherty reported on a new racist graffiti incident, this one at Birch Meadow Elementary School. Doherty read a quote from a letter to the school community by Birch Meadow principal Julia Hendrix, “If not addressed, [children] will not understand the harm words can cause.” Webb announced that the School Committee in executive session prior to the open meeting had ratified the collective bargaining agreement with the Reading Teacher’s Association. It is a three-year contract with step and column raises as well as set annual cost of living increases in teacher salaries. There also was some language changes regarding meeting requirements. 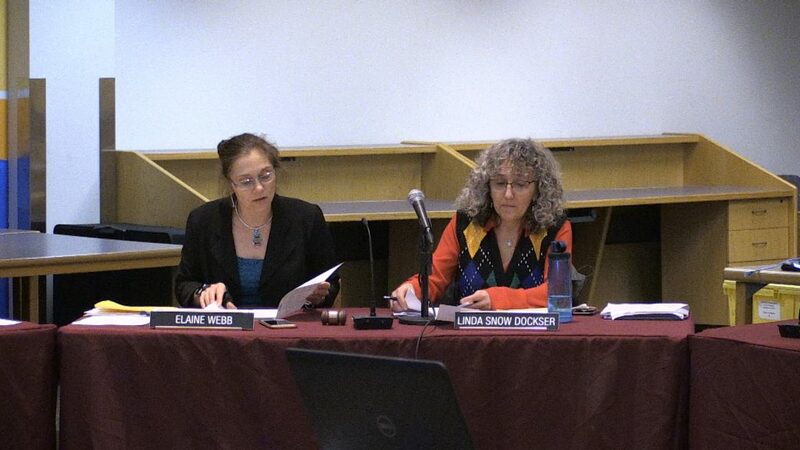 The School Committee adjourned at 10:00 pm.